Science Application International Corp. has received a $95.6M contract modification to provide technical services to help the U.S. Army update computing systems. The Army will initially obligate $9.7M in fiscal 2018 funds to finance the additional work under the High Performance Computing Modernization Program, the Defense Department said Friday. Work will occur through Oct. 18, 2021, at various locations in Mississippi, Ohio and Maryland. 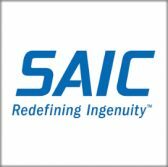 SAIC was awarded an $84.7M contract in June 2016 to support the service branch’s high-performance computers and a $91.5M modification in September of last year. Tags: Armycontract awardsGovconHigh Performance Computing Modernization ProgramSAICScience Applications International Corp.